Today I took a hike, literally. Those of you who know me, or read the hiking blog on my website, that won't come as a surprise. It was wet and a little muddy but it was tranquil and clear. The air was cold but not so much that I needed anything more than a hoodie and a light jacket. 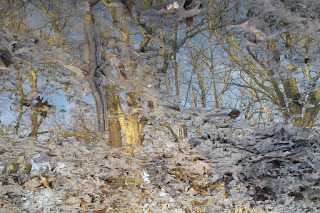 It was poignant that there were puddles throughout my walk, they reminded me that along my path there are things that could appear to obscure the way but if I just keep taking one step at a time either going through, my preferred method, or around I will be making forward motion, and that is what we are here to do. But there was a lot more about today's hike that stood out. Those puddles, because it was such a clear day, and the puddles were very settled because there were no other hikers or horseback riders out on Christmas day. shown the sky crystal clear and blue. 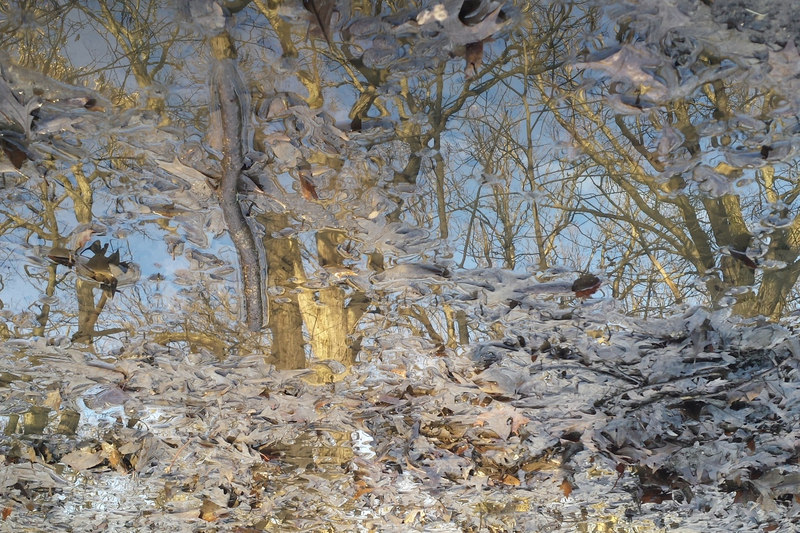 so not only did the puddles remind me of the ever present pitfalls along our path but it showed me that those were also the the things that would hold the image of our higher self. I have not been shy about saying I am a god, and I am not shy about being it either, but today is a great day to be me, I hope the same goes for you. I am taking more steps to voicing myself also. As it is Christmas day I reached out to both of the women that I have been moaning about recently, my friend responded my ex did not (yet). I hope I would have been fine if both had not responded but I will say I was happy to have one respond. I reached out to my ex with the goal of talking again one day, that might have been a bit much but I wanted to voice myself, not in a needy way but with a desire that I do not want to hold within myself to fester. If she will not respond I will have my answer and be able to let it go. I will not say I can find "better" people than her, because I don't know that I can, but I can find more people than her. It was good for me to reach out to them, but mind you I reach out to many people on Christmas day, I write many cards also, as you may recall from an earlier post, so it was not just to test the waters of those relationships. I examined my motives and my feelings trying to put off sending them until it felt most in sync with my nature. In that way I didn't have to think about what I was going to write I just let them flow and sent them off. I also took a call from my father, who I also sent a text to, I would hate to get a text from him first seeing as we only speak on these occasions. It was new for me to do a lot of talking but I took control of the conversation, I told him about my feelings, my medications, I also allowed him to speak but I didn't just listen which is my normal mode of talking to him. It felt honest, I didn't just amuse him, I was strong with my voice and inclusive, I hope. It is going to take a lot to manage my voice, I mean I am a god, people might get a bit turned off by that lol. I am sure there will be situations in which I talk too much and being on the arrogant side of things, lets call it confident, I might go a bit overboard. I do not want to argue though, I would rather just go it alone than argue my case, I don't have a point all in all, I only want what I want and as of today I still have a lot of figuring out to do about that. So I learn and continue to learn.